Rich or poor, all of us wish to save money. When it comes to spending a lot on monthly premiums for health care, I am sure everyone will look for a cheap health insurance option. The main reason being healthcare in the U.S. is really expensive. Of course, it is not possible for the Federal government to provide millions of its people with cheap health care plans. There are some who fall under the window of a certain percentage (400% to be precise) of the Federal Poverty Level (FPL) and cannot afford any medical facilities if health care associated subsidies are not provided to them. Hence, health insurance exchanges have been introduced in most of the states where eligible people can look for cheap health insurance options. Some of the health plans show the same price quotes in the exchange and with different carriers and brokers. However, for those who do not qualify for subsidies, it is better to opt from private carriers, big companies providing health insurance and brokers. Health insurance marketplace is mainly created to help those who are in need of cheap health insurance and fall under that category. Let’s find out who should use marketplace and who shouldn’t. You do not wish to do a detailed research on buying health insurance plans; the marketplace is the best place for you to mention your financial abilities and medical requirements. In case you earn close to or even more than 400% of the FPL, it is better to go to health insurers. 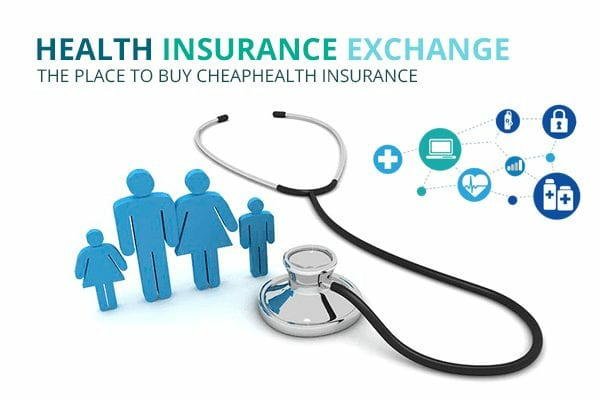 All health coverage providers need to pay some fees to the exchange for showcasing their plans. Not many insurance companies will go forward and do that in the exchange. Hence, when you opt for a marketplace, you may not see the best competitive plans and hence lose on getting the most relevant deal. However, there are certain states in the USA where health insurance companies do compete at a good level by selling their plans in the health insurance marketplace. In such cases, you may go there looking for the best deal for your health coverage requirements. The plans that you can buy from the marketplace are called ‘metal plans’. The main reason behind this nomenclature is- the plans have been named as bronze, silver, gold, and platinum health insurance plans. The value of premiums and out-of-pocket for each plan varies according to the economic valuation of the metal i.e., how expensive is the plan’s metal type. A bronze plan charges 60% monthly premium. However, in case of any medical procedure, 40% of the bills will be paid by you out-of-pocket. It is only after you have paid 40% of your total insurance sum, your insurance company will start chipping in its share. Same kind of rule is there for the silver plan– 70% monthly premium and 30% deductibles. Gold plan– 80% premium and 20% out-of-pocket payments. Platinum plan– 90%- 10% shared between your insurer and you. Hence, a bronze plan may be the cheapest health insurance plan for someone who does not have to visit the doctor immediately. While, those who need regular health care, a platinum plan is the cheapest, as people can have the health insurers chip into the health cost right after the 10% out-of-pocket payment. No matter which health insurance plan you decide on buying, the cheapest health insurance plan will depend on your annual salary, members included, you and your parents, siblings, etc., along with the frequency of visits for the required medical procedures. Stay medically and financially protected at the same time with your customized health care plans.